When Apple releases iOS 10 this fall, you’ll finally be able to remove preinstalled Apple apps from your phone. Sure, the apps aren’t “totally” deleted from your phone — those apps are baked into the device for security reasons — but you can still finally get rid of that junk folder that’s been hogging up your home screen. And that’s great! There are over a dozen apps that come preinstalled on your iPhone, but you won’t find all of them useful for your particular needs, and there’s a better alternative to almost every one of them. Others, like Tips and Compass, are totally useless. Good riddance. Now for the downside to Apple’s move. 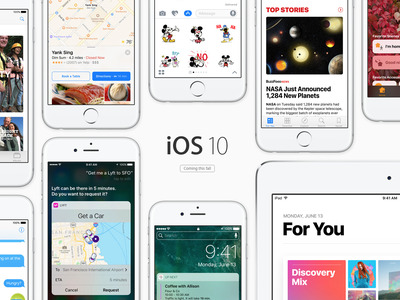 iOS 10 won’t let you select default apps for third-party apps that handle email, calendar, web browsing, and all those other standard functions. So if you delete Apple’s Mail app and someone sends you a link to an email address, you’ll be prompted to download Mail again instead of using the app of your choice, like Gmail or Outlook. While it’s great that Apple is giving users a bit more control over the apps that appear on their home screen, it’s won’t be a perfect solution until users can choose their own default apps like they can on a Mac or PC.